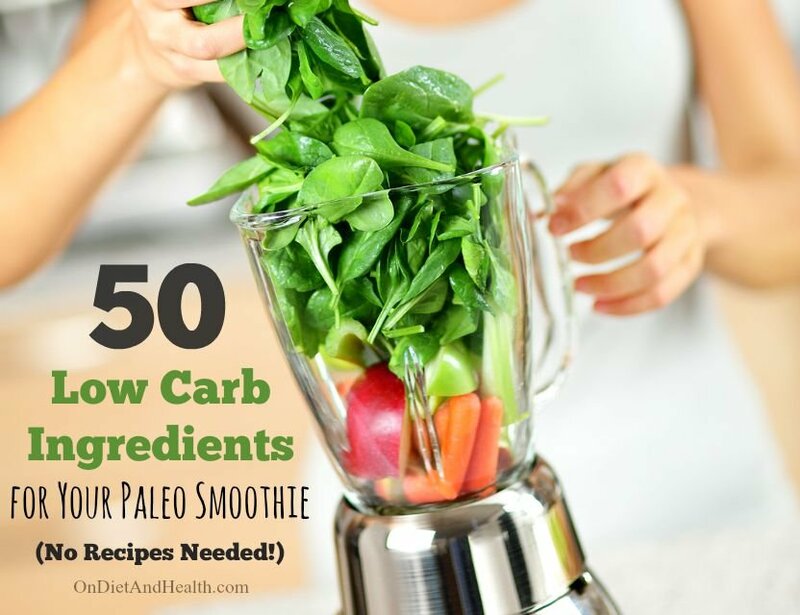 Low Carb Paleo Smoothies are a great way to help get plenty of cooked, wilted or pureed veggies daily. Mix and match the 50 low carb ingredients below in a Nutri-Bullet, BlendTec or Vita Mix. (A regular blender won’t work). HINT: Buy a BlendTec or Vitamix refurbished. 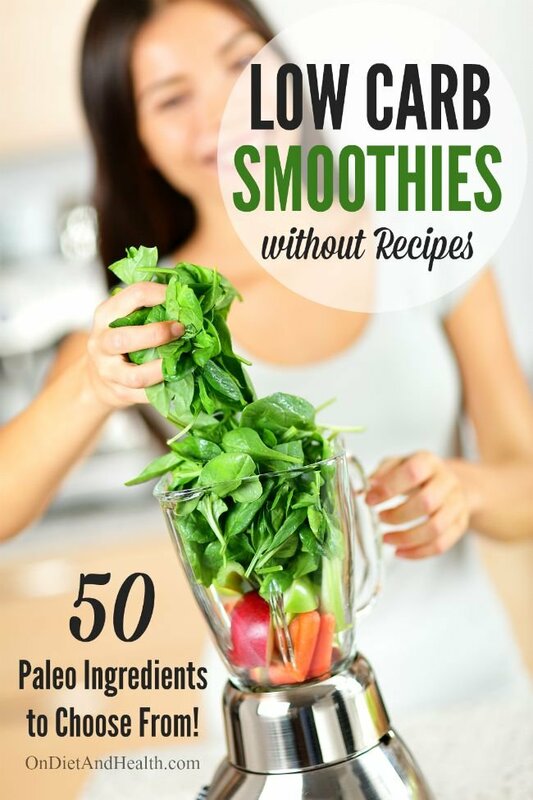 50 Ingredients for Easy Paleo Smoothies with no recipes! Each Smoothie Bowl will be different, depending on what’s on hand. Most combinations taste good but you can quickly blend another ingredient to change the taste before serving. These smoothies (slurpees?) don’t have much fruit, juice or liquid. They’re blended concentrates of vegetables, herbs, avocado, herbs, nuts, oils, sprouts and more. I call them Low Carb Smoothie Bowls! Smoothie Puddings you eat with a spoon! The goal is a thicker smoothie that’s full of nutrient dense food, not water or high calorie juice. Make a Smoothie Bowl out of it by adding chewy toppings such as coconut flakes, nuts or seeds, or chopped peppers or celery. It’s important to CHEW that smoothie! Chewing is the first step in digestion. When you drink or swallow food whole you bypass the enzyme action in your mouth. Slow down, and eat this dense food like food, not fluid. 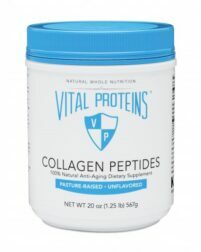 These don’t require as much chewing as a steak, but do give them a workout with your mouth before swallowing. 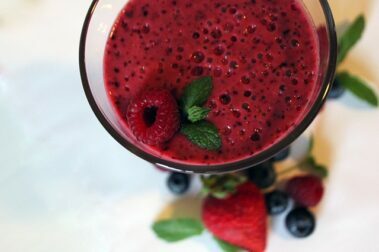 Want more info on smoothie meals? 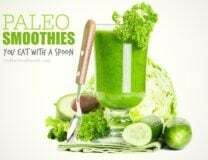 Here’s my recent post titled “Paleo Smoothies You Eat With a Spoon”. The “30/30/30 Rule” is one of the Food Rules in my Diet For Human Beings (check out my DVD here). 30/30/30 means that every meal and every snack have a balance of proteins, fats and low starch carbs. No grabbing just fruit or a hard boiled egg as a snack. It’s not balanced, and you want to keep blood sugar balanced at all times. One version of the 30/30/30 Rule is the classic “meat and 2 vegetable” plate with added tasty fat…. 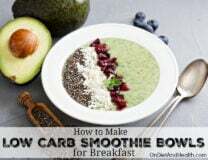 Low carb Smoothies are another way to make a balanced meal or snack. Here’s a Primal Diet – Modern Health podcast I did a while back on the 30/30/30 Rule. With the addition of some protein in the smoothie or some on the side (meatballs, sausage, shrimp, eggs, chicken leg) you have a fast meal with minimal cleanup. Build your Paleo Smoothie like a meal by selecting proteins and fats to go with the vegetable and fruit carbs. I’ve got a big list of food choices below – Keep Reading! Are raw spinach, kale and collards OK? The cruciferous vegetables contain goitrogens – substances that interfere with the uptake of iodine by the thyroid. Cooking or blanching greatly reduces their impact. Raw spinach contains oxalates that can cause kidney stones and calcium issues…. However, as long as you don’t consume large amounts of raw kale, collards and spinach, you’ll be fine. 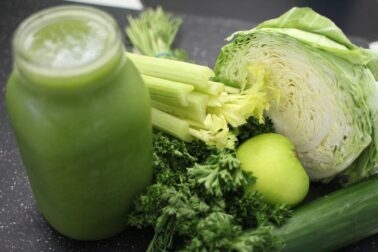 Save lots of the leafy greens for cooking and use a variety of lettuces and other greens in your smoothies instead. Blanching helps, and leaves the food ‘undercooked”. Boil greens for 2 to 3 minutes, then place in icy water. Keep ready in the fridge for Smoothies (or use blanched collard leaves as vegetable wraps). Some of these are pure fat and some contain fat. Fats make the blender a little harder to clean but we need fat for balance, satiety and texture. If you’re eating Keto (very low carb Paleo) just add more fat and protein options. THE VEGETABLE CARBS – PICK A COLOR! sprouts – especially sunflower seed sprouts. See note below on sprouts. You won’t need to add much liquid, as vegetables and fruits are about 25% water. But you do need some fluid to make your NutriBullet, BlendTec or VitaMix start the blending process. Gather ingredients randomly or by color. Make vegetables and fat your focus – not fruit or starchy carbs. Have your favorites ready as a reliable base. For me, that’s English cucumbers, zucchini, fennel, Romaine, avocado and blueberries. Cut in chunks and add to NutriBullet or high speed blender, adding leafy greens and a little fluid. Blend up, adding another few tablespoons of fluid if needed. Taste and keep adding food and flavors, blending until you have the right amount of Paleo Pudding you can eat with a spoon. Don’t forget the FAT!! Eat protein on the side or add to the Smoothie. For creaminess, try avocado, canned coconut milk, winter squash, cashews or a small piece of banana. Cow’s Cream if you can handle other dairy. Please avoid yogurt and milk as they make most people gassy. Sprouts: Sprouts are really good for you. Broccoli and radish sprouts tend to be quite bitter or “hot”. Experiment with how much you like. Sunflower sprouts are milder and packed with nutrients. 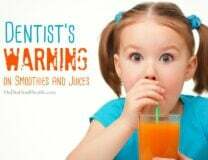 This article from Dr. Mercola may inspire you to grow your own. He grows sprouts in small soil trays rather than jars you have to rinse daily. Paleo Smoothies You Eat with a Spoon!